Remember, the whole idea of mapping out content is to build a relationship with your audience that will allow you to make an exchange with them. This trade looks different from one stage to the next, and should reflect the content strategy for your business. The main thing is that you don’t want to rush your audience at any stage. 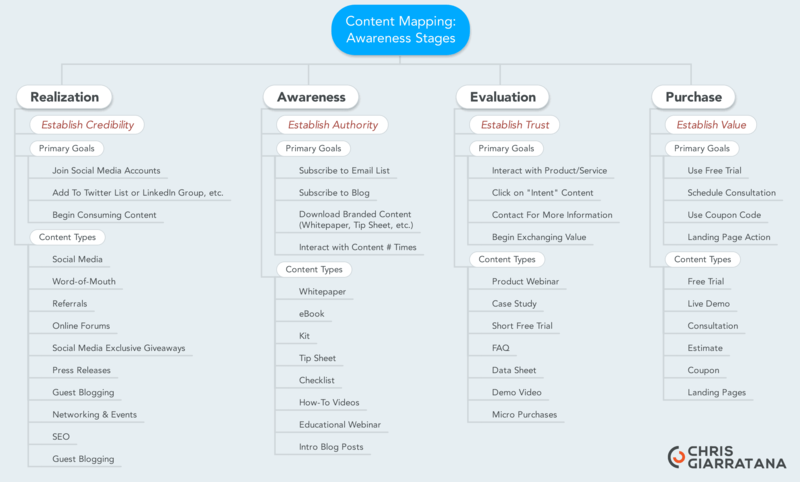 The above diagram, while not complete, is a pretty good overview of what content you can use for you business based on the stage your audience is at. The suggested content above are just general recommendations, and each industry, market, and product/service will require careful consideration to accurately match your customers and content. It’s not that mysterious… but making it happen is usually the tricky part. Also, even with the above guide, you are still going to need to align specific content to the needs and desires of your audience at each stage. You can do this by referring to your User Personas and other research. Each stage must frequently be reviewed, and you should continually validate that your assumption and customer preferences are accurate by performing constant customer validation assignments. Determining these “triggers” are vital to map out your content with any degree of success. An essential part of defining the “triggers” is to measure the success of specific routes your audience takes. For example, you need to measure the engagement of your email marketing to know who is interacting with what content. The same can (and should) be applied to all channels your audience interacts with. This type of insight will help you move individuals along by knowing the specific pieces of content they are working with. One thing I was not able to incorporate in this diagram is how you can move customers from one stage to the next. This is an entirely different conversation that requires an intimate understanding of how to leverage various channels, platforms and messaging to provoke action from your audience. For example, a solid Call To Action will be utilized at each stage, but their wording, tone, and approach are quite different from one to the next. Now it’s your turn! 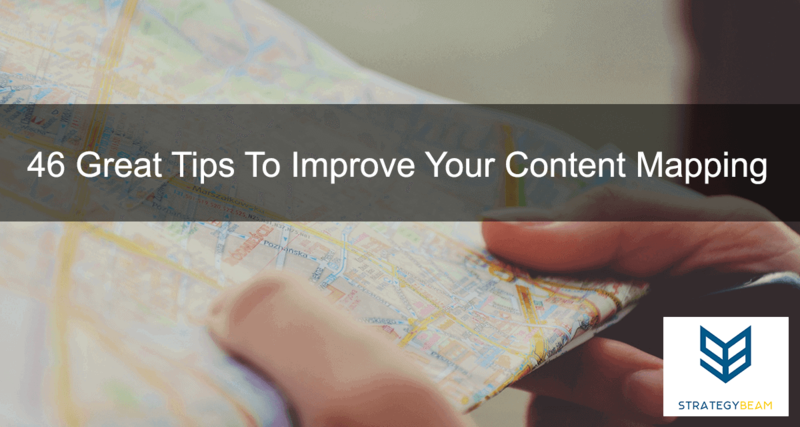 What types of strategies do you have to map out content for your readers? Let me know if the comments below!